If you are looking into dog DNA testing solutions for your furry friend, the overall test accuracy is one of the most important deciding factors. You definitely want to make sure you get the proper results for the money invested, but it may prove quite difficult to differentiate high-quality providers from those that can’t meet your expectations. This post will help you determine the most significant aspects to keep in mind when searching for the best dog DNA tests for your pet, patient or litter. By knowing exactly what to look for, you’ll eliminate potential misunderstandings and general waste of money. If you’re interested in educating yourself on how to choose the most accurate and reliable testing option for your animal friend, keep on reading and arm yourself with proper knowledge before you start looking at all the different companies. Providers of canine genetic testing usually take one of two approaches. They can either offer all-in-one tests or segregate all the testing fields into separate testing solutions. In order to keep things as simple as possible, we’ll use Embark to illustrate our points. It’s not only one of the best testing providers on the market, but it also offers a single test with all the possible information you’ll ever need. Let’s go over the most crucial factors that dictate the overall accuracy of dog DNA tests. The first step with canine genetic testing is determining your dog’s breed. This task becomes much more challenging if you own a mixed-breed dog. Companies will compare your dog’s buccal sample against a certain number of known breeds and provide you with a comprehensive report on its genetic percentages. The more breeds the test checks for, the more accurate the results. Embark, checks every DNA sample against 250 dog breeds, providing a very reliable report on genetic percentages. Additionally, it also tests for traces of wolf, coyote, and village dog DNA. This section is much more important to breeders trying to obtain reliable proof of pedigree, but it can also be used to satisfy the curiosity of private owners. 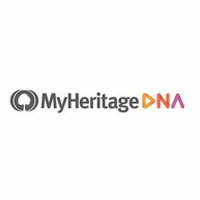 Embark offers accurate results on your dog’s haplogroup, haplotype, and the migration routes of its ancestors up to 15,000 years in the past. The acronym stands for “Single Nucleotide Polymorphisms,” which are simply the locations in your dog’s DNA signature. The more SNPs checked, the more accurate the final results. Embark checks for more than 200,000 genetic markers, providing perfectly reliable results. The overall health of your dog starts with its genes. 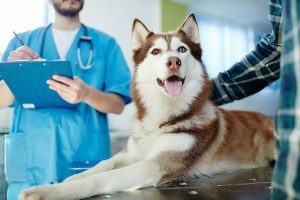 Dogs are prone to numerous genetic diseases and conditions, so determining their predisposition for developing a certain illness is the key to prolonging their overall health and lifespan. Embark will screen your dog’s DNA sample for more than 165 genetic diseases, covering all the systems in its organism. Using your dog’s genetic traits and the overall aging process, it is possible to determine its genetic age and translate it into “human years.” This portion of the test hinges on the accuracy of all the previous factors we mentioned.